We designed a scheme to work with Sue and James' antique dining suite and redesigned their fireplace to create an elegant space for entertaining. Sue wanted a scheme for her dining room that wouldn’t date and wasn’t too bland. She liked colour and wanted to use a few patterns in the room together with a strong colour. They have a big family and use the room for lots of socialising so it needed to work for lots of people being in the room as well. 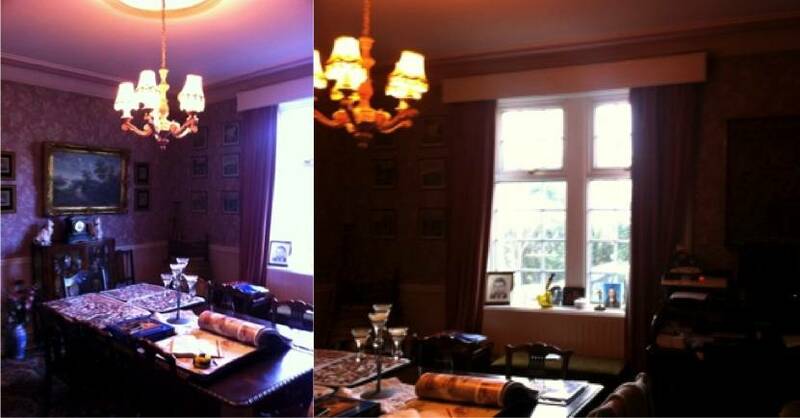 Sue and Jim hadn’t updated their dining room for a while and were looking for a big transformation – which we helped them achieve. 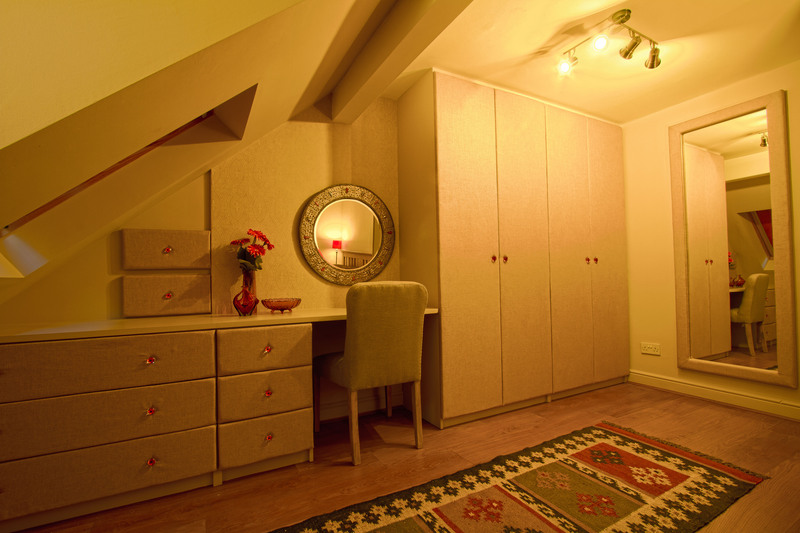 The colour scheme we designed was warm and inviting. 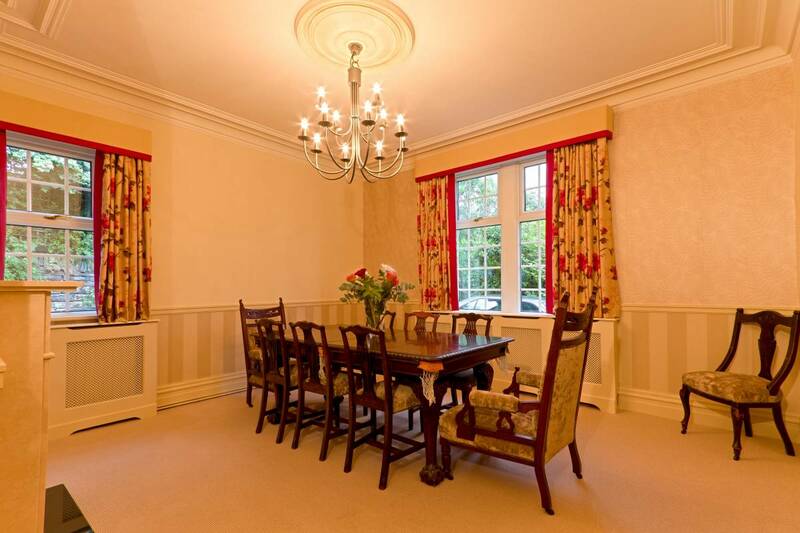 Taking a strong red colour as a border to the curtains and pelmets, it ensured the red flowers from the curtain’s pattern were really set off well and gave a hit of colour as you walked in to the room. We then used a washable velvet fabric to reupholster the chairs and chaise longue – perfect for adding depth and warmth to the room but still being practical for cleaning mess from sticky fingers! 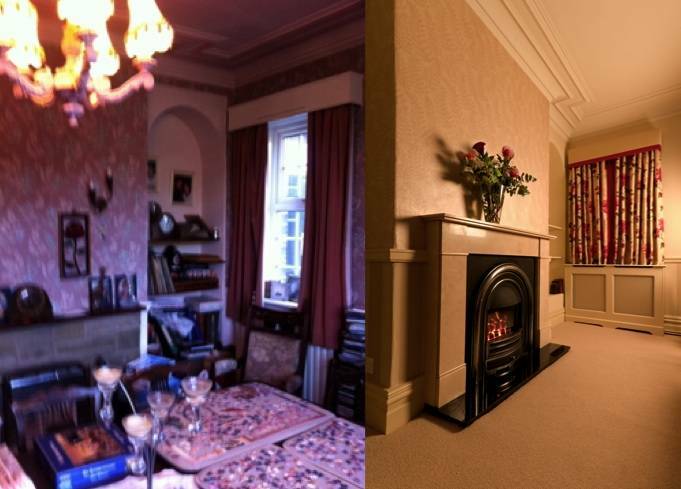 We took the room from these before photos, to the fantastic room you see above! One of the major transformations was the fireplace and chimney. We removed the old 60’s style fireplace and surround and the gas bar fire and replaced it with a stunning marble fire surround and arched gas fire. The traditional feel of the fire suited the antique furniture and style of the house perfectly, adding in some traditional features to the room. Using a mix of wallpaper and paint sections adds real interest to the walls. The stripes around the bottom bring multi tones in to the room, and the chimney and back wall is set apart using a subtle red floral wallpaper to add another hint of colour to the dining room. 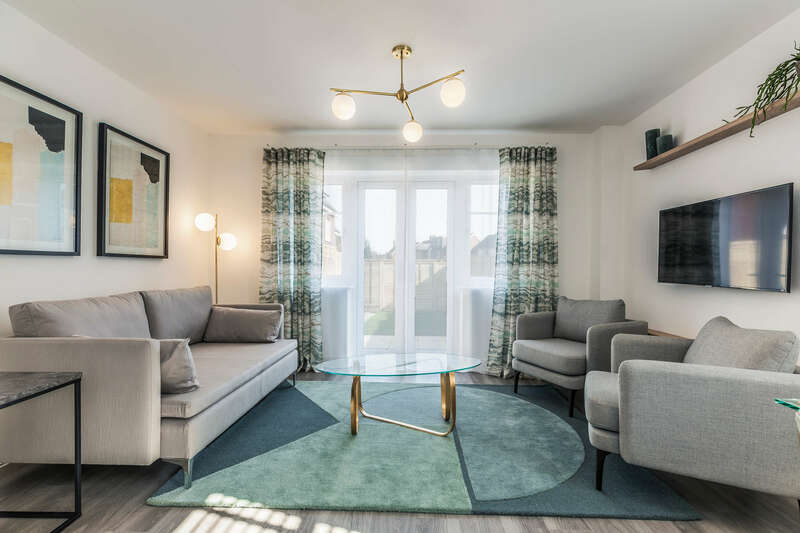 Painting the ceiling in a lighter tone to the walls helps to add warmth to the scheme and painting the ceiling one colour actually enhances the detail of the plaster-work, rather than picking it out in a different colour. Simple but very effective. To really create a central point to the room, we had a bespoke chandelier made that hangs over the dining table and creates a beautiful tiered lighting effect – just perfect for long evening dinner parties!